Some people are driven by some inner urge to make music. Other people make music to please others. For many people there is a huge difference between these two. Often the first expressions are regarded as “higher” than the second. But it is never that black and white. I don’t like the whole discussion about lower and higher art. And anyhow, I love to hear music made by people who just do it to please others. There are no good words for all this. Or the words that are used to describe the different takes on art/music ( “scnabbelaars” , B-artists) are in my opinion too offensive. What matters to me is if an artist is able to connect to the source of inspiration and to express this source in a genuine way. Also people who do not really feel an inner urge to produce art can do this. They just reach the source from a different angle than the people who are only interested in what they make. The difference is more in method than in quality. Often the artists who work to please others are called “entertainers” . When hear that word, I think of people who play in bars and bowling alleys all night, seven days a week. Not much of these artists made records, but fortunately some did. 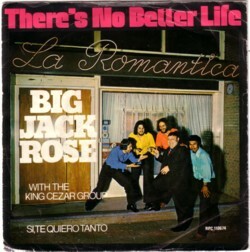 One of my favourite records in this genre is by the singer who named himself Big Jack Rose. 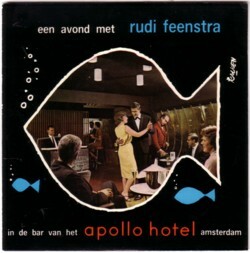 In 1974 he was the house artist of the Rotterdam bar Romantica. 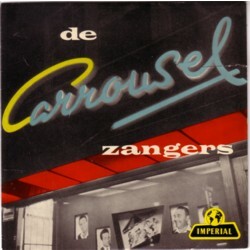 And for their own label he recorded a 45 with two of his own songs. I am very interested in records like these. How where they sold? How much copies were pressed? How many of such records were made in Holland? And what happened to these artists?